I've definitely noticed an ebb in my own creative tide. Not in a bad way, just in a summertime way. Aaron agrees that he feels much more depth of creative feeling in the colder months. I guess it has to do with a need to draw brightness from within in times when it won't come from without. The summer offers the calm warmth, still air and steady sun to set our souls at ease. Our nerves are sedated and therefore the therapy of creative expression is uncalled for. You have to put in a little more effort to really get the juices flowing in the summer. And maybe it isn't just the weather. It could have something to do with the deeply ingrained idea of a "schoolyear". The whole 'no more teachers no more books' thing. We tell ourselves "I'll get my mind back in Algebra mode come September" (well, I never ever got my mind in Algebra mode...no matter what month, year, or lifetime!) . And I'm sure a lot of you will agree...it's not at all that the quality of your creativity diminishes. It's just that it doesn't come shooting out of you like a geyser. I guess that's part of my reason for liking Halloween so much. It sorta marks the beginning of the creative year with all of it's visual possibilities and bold announcements of season's change. Well, that's why I wanted to post some Halloween stuff. Last post I showed Jessi's super awesome cone and that adorable little Boo girl from Mica and I got lots of comments and emails from other Halloween thirsty gals. I suspect my summertime creative ebb is not unique and that most of you guys would agree that Autumn brings a welcome change. But first, before I rush us out of summer altogether I have to show you some pics of an assortment of artwork we recently shipped off to Italy! I've talked at length about our friend Rosanna over there so I don't want to go repeating myself but in case you forgot or are new to reading this blog here's a link to a past entry showing Rosanna's dazzling home and collections. 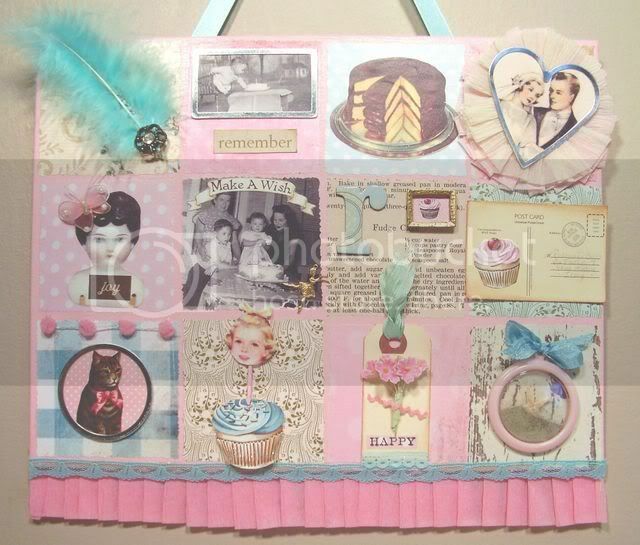 These pieces here were all commissioned by Rosanna and we really love the assortment that she chose. It's like a perfect little sampling of our work in all possible shapes and sizes! 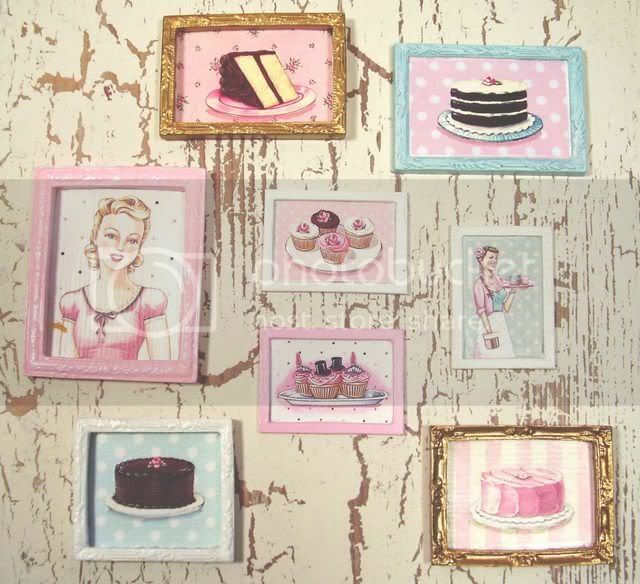 She has a dollhouse patisserie where all of those mini versions of our paintings will hang (those are all roughly 2 to three inches at the biggest). 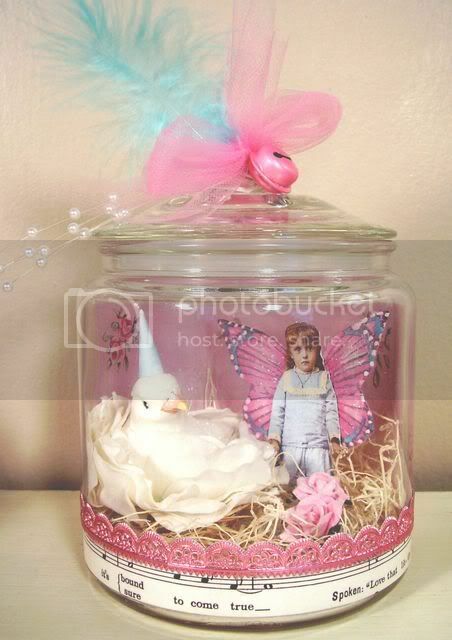 And Rosanna requested a custom fairy jar after seeing the one I did for Melfie's fairy jar swap a couple months back. 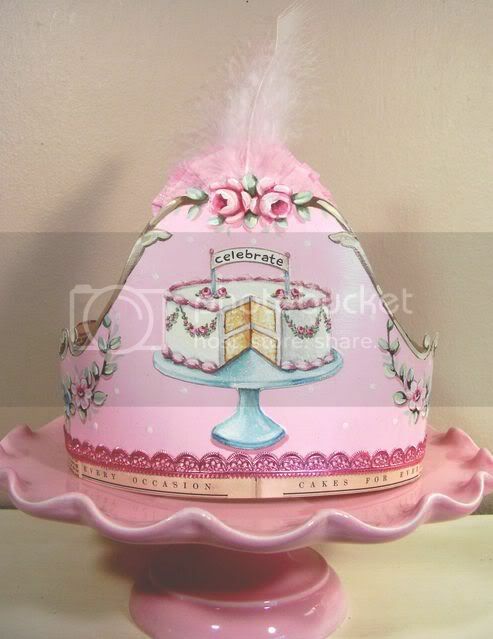 I love how this one came out, especially the bird's party hat! 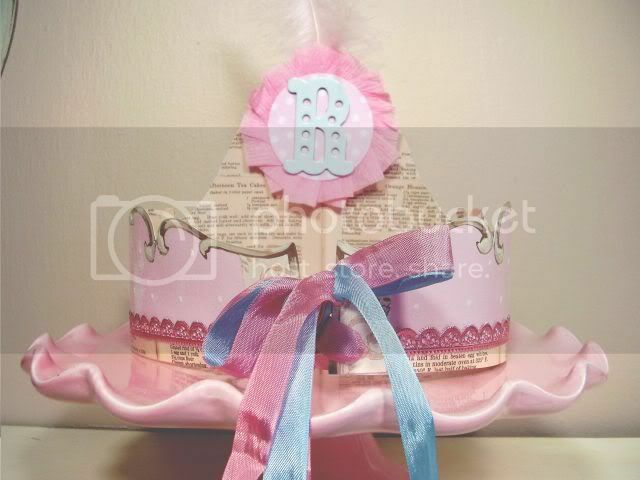 And that magical crown there was a lot of fun to make. 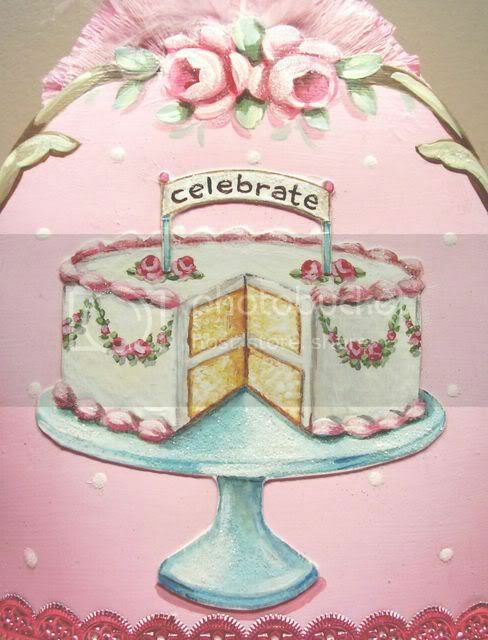 It's totally handpainted...all the scrollwork, the floral garlands, the cake. We put a lot of care into the tiny details. 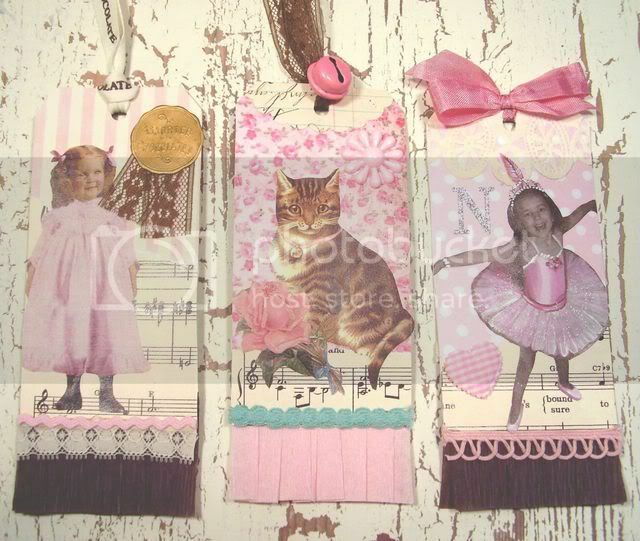 Also I saw in blogland some other bits and pieces collages sent off to Rosanna recently and loved 'em...well here's mine for her, as well as a whole bunch of custom tags (that little ballerina on one of 'em is Rosanna's adorable and apparently super fun daughter!) We totally adore Rosanna and I personally know a few artists who share our feelings for her. She just really "gets it" and its great to do work for those who "get it". Ok, I brought up Halloween so I must at least provide some visual aids. We got lots of email requests to put some of last year's Halloween collection back in our ebay store. So some are there now and we've got more to come. The new stuff is not yet complete but we promise to really kick up our All Hallows Eve game. The visual possibilities are so great and we must measure up to some high standards. 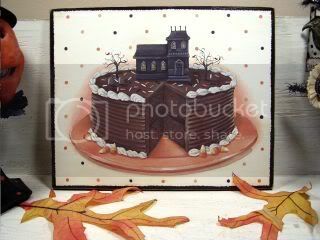 In this art/craft/collectible world Halloween is by far the most creative/inventive. Well, I might change my tune when all the Christmas stuff starts to flow (and Silver Bella!!!) but for now lets say that Halloween is king! 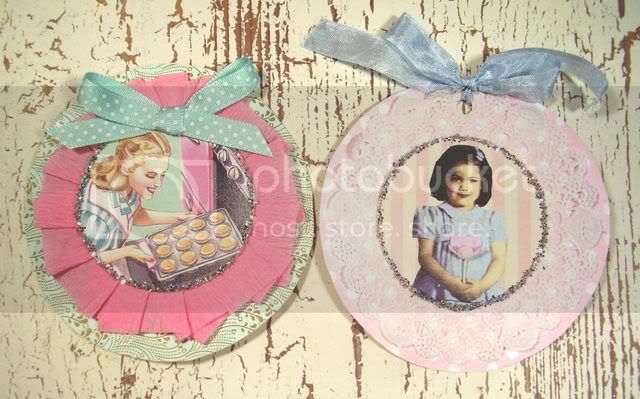 We are totally gonna have Halloween ornaments in our collection this year! soon! I think this is going to be a short post. I'm looking at some mail I just received and it's too great to try to squeeze in here. So look forward to some EYE CANDY next post. But I have one more thing to mention and it's not like it even requires mentioning because I'm sure the entire world is aware. It's equal to me trying to get the word out about the Simpsons movie. But I'll tell you anyway. At 10 am eastern time the virtual doors opened over at OneHundredWishes.com!!! The owner of this online paradise is the uber talented and super stylish Andrea Singarella! I'm serious when I say that YOU MIGHT FAINT! when your eyes start to take it all in. Her vintage paper goods, fancy notions, trinkets & treasures are....ummm....exactly what you want, what you need, and what you crave! 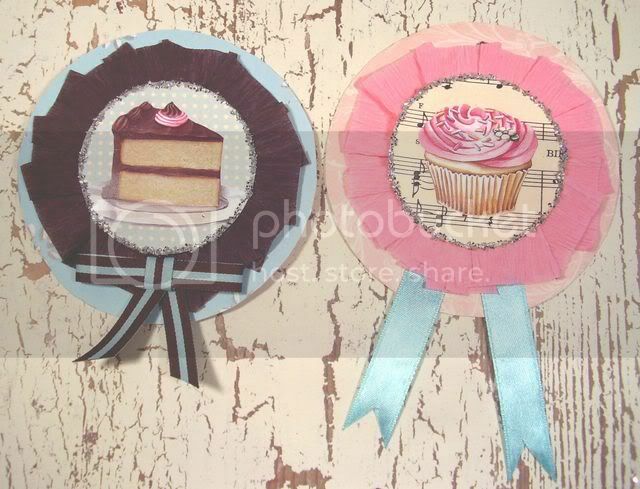 Gorgeous velvet ribbons, vintage seam binding, Dresden foil trims, as well as incredible handmade goodies (see Paper Cakes!!). 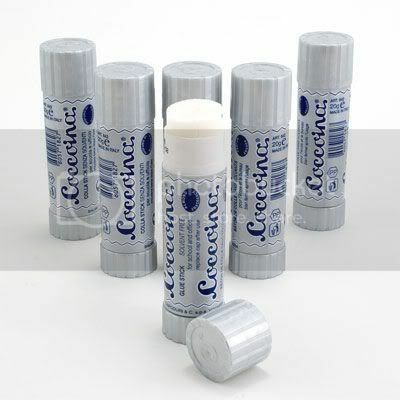 You're sure to order a Coccoina Glue Stick just as I did! These Italian imports are scented with almond extract! Imagine your crafting materials transporting you to an Italian bakery. I mean, miss Foof herself uses 'em, Teresa McFabulous! But maybe not recommended for use if crafting is your dieting tool! Well anyway, go over to one hundred wishes again and again. Oh yeah, speaking of Andrea Singarella has reminded me of Artful Blogging. An excellent new magazine featuring the likes of Andrea, Alicia, Kari, Teresa,..and soooo many more! It's all about artful blogs and at first the idea seems in reverse...putting an online entity into print form...but once you get your hands on this mag you'll see it's not backwards at all. You'll see just how much the amazing featured blogs deserve to be immortalized in a high quality print publication. You'll keep it in your "go to" stack of books, right on top. (wait a minute, I just read my last three sentences and I can't believe how much I say stuff like "You'll See! "...it's like I'm a pitch man for some local appliance store!) Anyway, you get the idea, I highly recommend the mag and I highly commend the talented gals featured on it's pages. Somerset Studio has done it again...They are the King Midas of publishing! Jenny your work for Rosanna is just gorgeous!!! She is so sweet, i love how you included her daughter in the tag too. 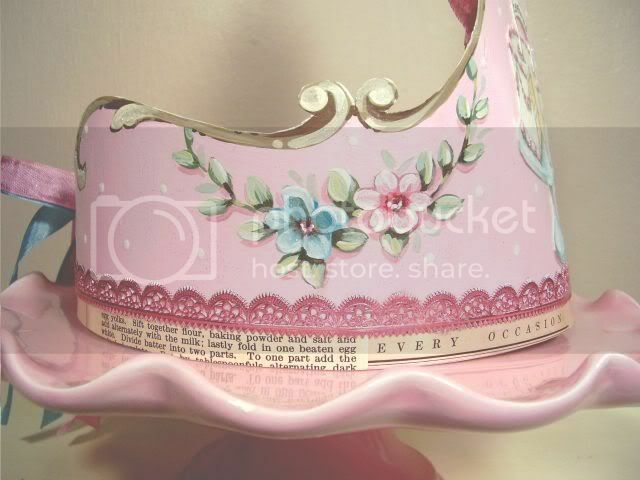 The crown... oh boy, it's adorable!!! Hey maybe you should spend your Summer down here then it won't ever be too hot and the ideas will flow freely all year round! Love your halloween things, we don't 'do' halloween here much but I can't wait to see all the halloween things in blog land this year! I love your Halloween items. I was an almost Halloween baby so that holiday has special meaning to me! All of your goodies for Rosanna are tre fab as always. Such a lucky gal she will be when she gets your package! 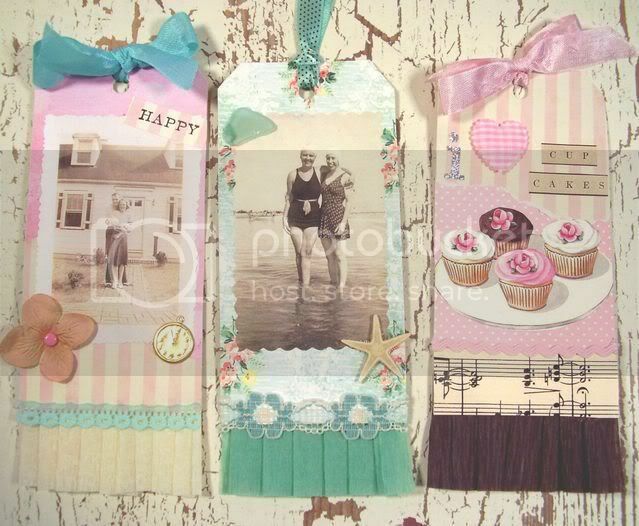 I placed an order at Andrea's store yesterday - love everything she carries - I too can't wait to get that glue stick! 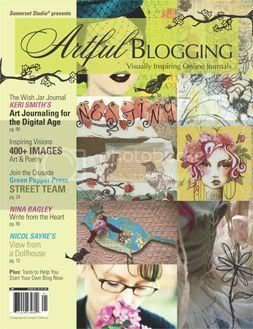 I also picked up Artful Blogging yesterday and it is so wonderful to see so many blog friends in print! 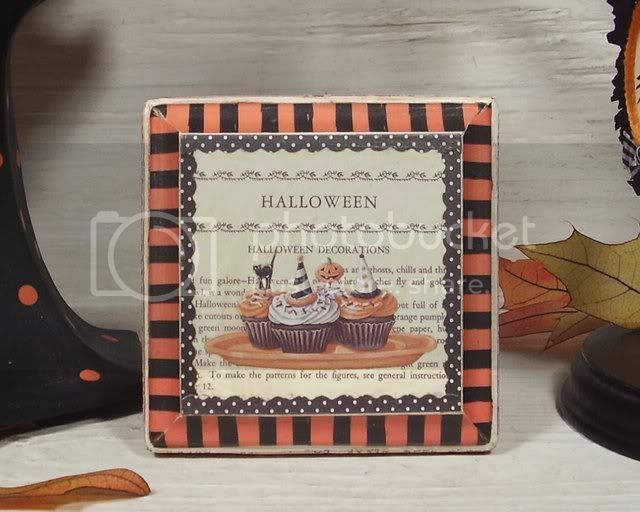 I agree ,I have noticed fall/halloween turning my head lately.I have even been thinking of having a kid's halloween party for my girl's and their friends!I have always wanted to do that! and you can get the button too if you like! I hope that you guys have a nice weekend! Yah! 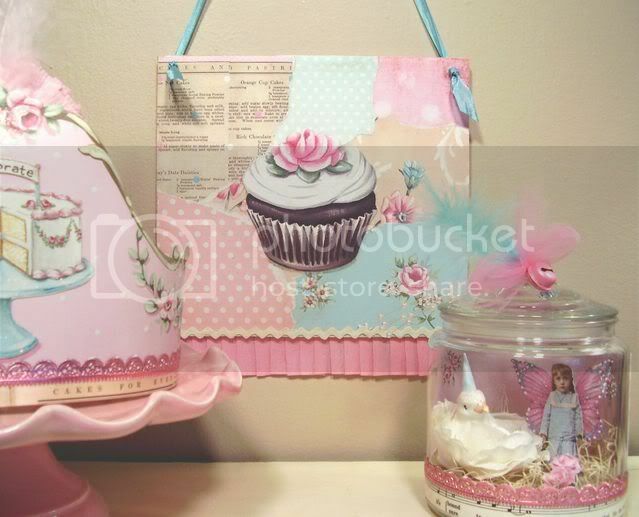 I see a paper doll cupcake pick in your bits n pieces collage. Looks cute. 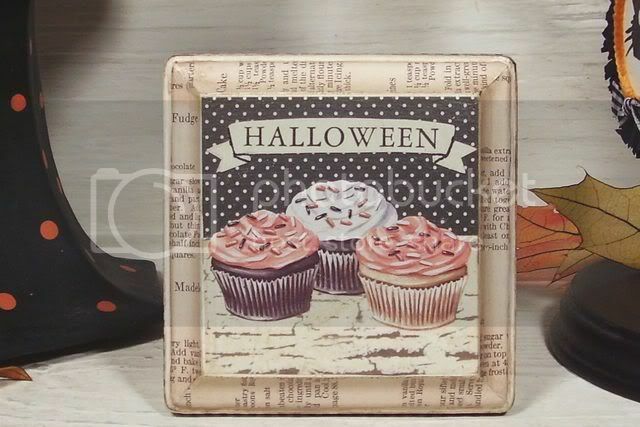 Love all the Halloween goodies. I've been struggling with my creativity too. Just wrote about it in my blog actually, but seem to be feeling better now. Take care and enjoy your "summer vacation"! You are the dang best looking appliance pitch man I've ever seen!! Your passion and appreciation for other artists is so uplifting. You're such a sweetheart. I need some of those glue sticks! I've been using Martha's (because I trust Martha to have a glue that will last for years and years), but I'd still feel more comfortable with a stick that other artists have tested for longevity. I'm switchin'. Rosanna is amazing isn't she?? It's so nice to have someone who genuinely loves what we do. Her enthusiasm is also very inspiring. Creating for her is lots of fun and she sort of kicks you up a notch with her passion. Well, since this isn't my blog and I'm supposed to just be leaving a comment, I guess I'll shut up! Take care and thanks for the dose of eye candy. Love the Halloween stuff. I'm not very good at Halloween. I admire all you Halloweeners! I swear I can't believe I'm coming back to blab more, but I had to say something about that crown/tiara. Gees, Jenny, it's astonishing!! Beautiful beyond belief. Your painting blows me away. You REALLY need to be creating a line of patterned papers. Honestly, they would be so successful. Jenny! How did we not know about each other? i am SO glad to have found you and want to go deep into your blog and all your friend's blogs! the little i've seen is going to keep me inspired for awhile...thank you for coming to mine and the sweet things you said, let's keep in touch...by the by i'm a jersey girl too! much love darling!! This year i want to make some Halloween wands & danglies... I think I should start to make them soon, that I am early with them.